Lo and behold, DoWallet, the next generation client-side wallet available for iOS and Android devices. We see it as a borderless bank. A global tool that is as useful for the unbanked as it is for the first world consumer who wants to take ownership of his/her assets. A crypto wallet that is secured, global and regionalized, a wallet that speaks your language and that is connected at real-time and to the market and to services that are most relevant to you. If you don't understand English or transact in US$ it is difficult to grasp your wallet balances or make informed decisions with your coins and assets. With DoWallet, you can select from over 40 different languages and culturally related preferences like time zones, date and time formats and over 60 local fiats to help you understand and use your crypto more effectively! Since its inception, making DoWallet as secure as technically possible was our number one priority. DoWallet never saves your private keys on our servers and you remain in complete control of your funds at all times. In case your device gets lost, you can simply restore your wallets using your 12-word phrase and as added security, all transactions can be authorized solely by you via PIN and biometric authentication. Be the first to know when markets move! Display your cryptocurrency balances in local fiat currency values updated in real-time or make fiat2crypto or crypto2crypto currency conversions. 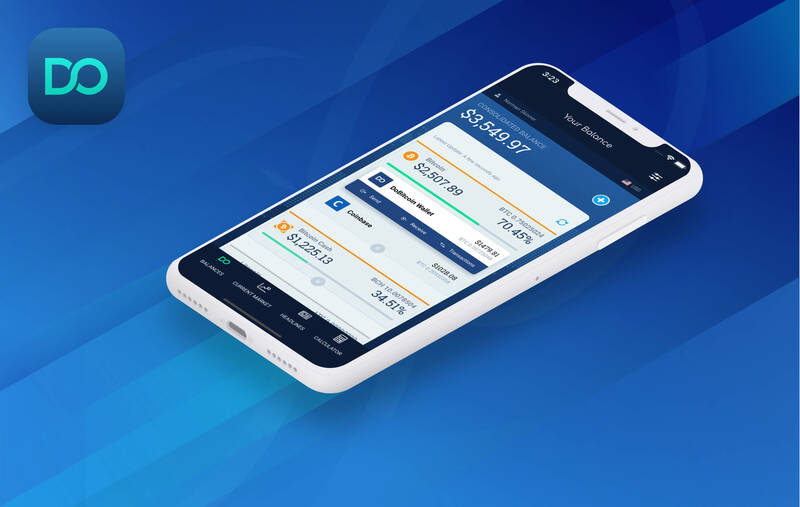 DoWallet features a state-of-the-art crypto price real-time technology and update automatically without further user interaction so you can have up-to-the minute wallet balances and crypto prices. DoWallet lets you monitor thousands of cryptocurrencies, featuring charts, news, volume, ratings and prices in real-time! Organized by Market Cap, Volume (24h), Top Losers and Top Gainers, DoWallet lets you easily access coins that are currently in-play so you don't have to spend time searching through this information through the internet. DoWallet consolidates and displays your local wallets with balances from over 15 different exchanges such as Coinbase, Binance, Bitfinance, Kraken and many more... DoWallet lets you track your portfolio all in one place at real-time and using your local fiat currency! Do Wallet actively tracks thousands of wallet ids where scams and phishing activities are taking place to prevent you from sending and losing your crypto to criminals. Tracking scams won't make them go away, but it will make identifying them much easier so you can rest assured you are not sending to known malicious wallets. As an added security we recommend you only send funds to trusted addresses and always double-check what address you're sending your crypto to. DoWallet will soon feature a suite of powerful applications and integrations, designed to put the power of crypto at your fingertips! So download DoWallet now and join the crypto revolution today!